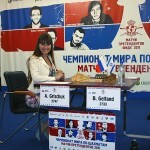 After commentating on a perfect 13 draws, it seemed almost a shame for the sequence to come to an end in Grandmaster Sergey Shipov’s final live commentary from Kazan – but the magnificent win by Boris Gelfand was a fitting way to qualify for a World Championship match against Vishy Anand. VIDEO ADDED! Sergey Shipov began today’s commentary by comparing the players to Greco-Roman Wrestlers who couldn’t throw their opponents, and ended comparing them to immortal Highlanders. 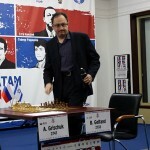 Yes, the penultimate game was another draw, with Gelfand taking full advantage of Grischuk’s slip in a promising position. 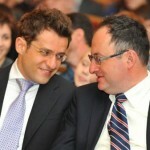 Here I nearly fell off my chair – that was GM Sergey Shipov’s immediate reaction to Boris Gelfand’s 9…b5!! novelty. 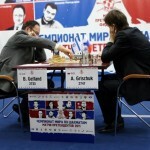 Alexander Grischuk recovered from the shock and responded well, but this was no short grandmaster draw. 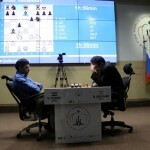 Shipov noted the game will be remembered for many years to come. 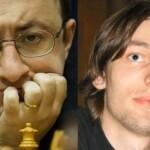 The second game of the Candidates Final saw Boris Gelfand and Alexander Grischuk engage in a hair-raising theoretical battle. 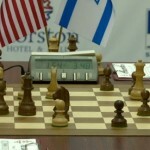 When the dust cleared Grischuk had a near-winning edge in the endgame, but Gelfand found enough counterplay to hold on. 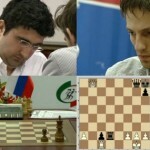 Sergey Shipov explained an enthralling struggle. 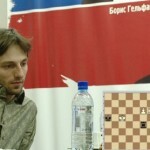 The first game of the Candidates Final got off to a promising start, as Alexander Grischuk tried a new approach – playing for a win with the white pieces! Despite taking his time (Shipov wondered if he was trying to save Tal’s hippo, or waiting for his wife to fly in from Georgia) he couldn’t quite break through.